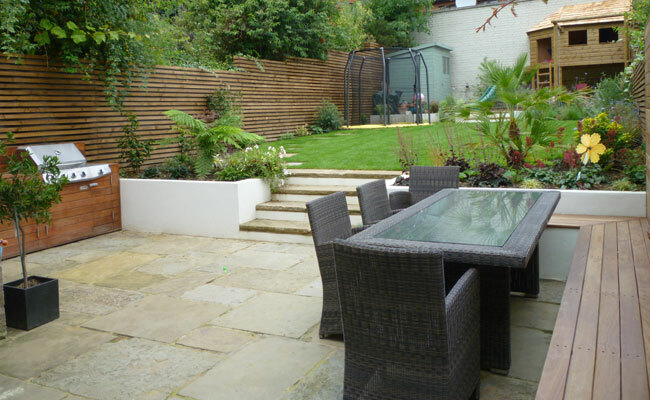 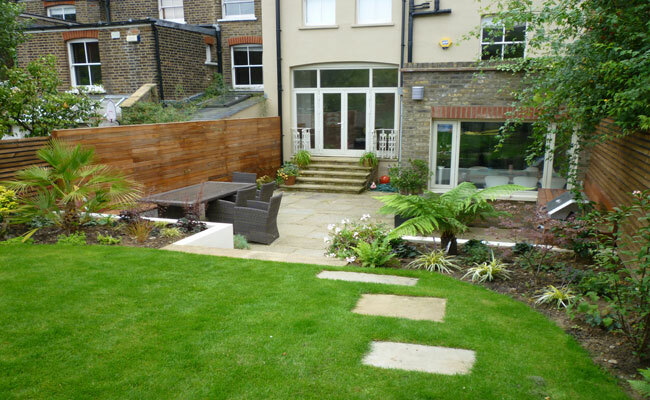 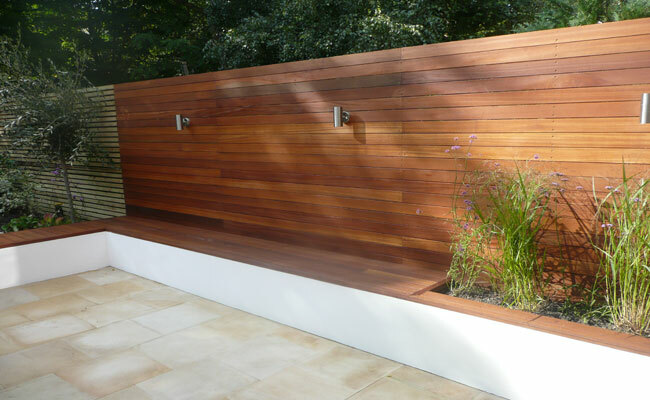 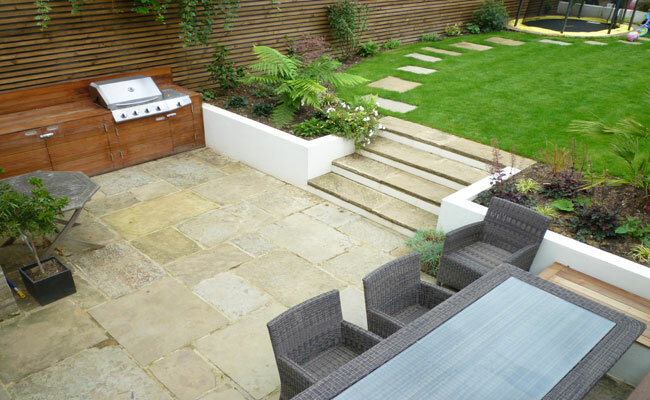 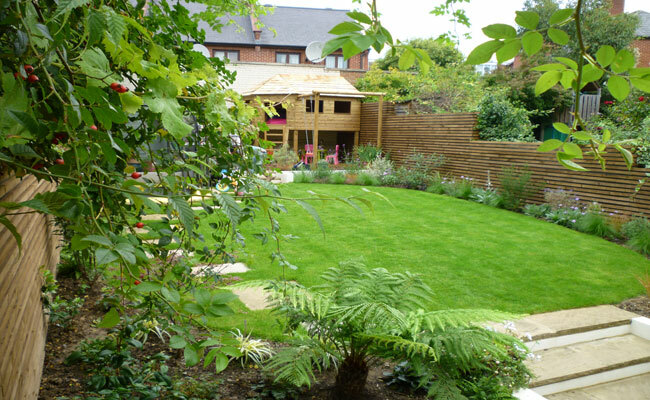 Services employed were patio design and build, fencing design and construction, lawns and seating areas. 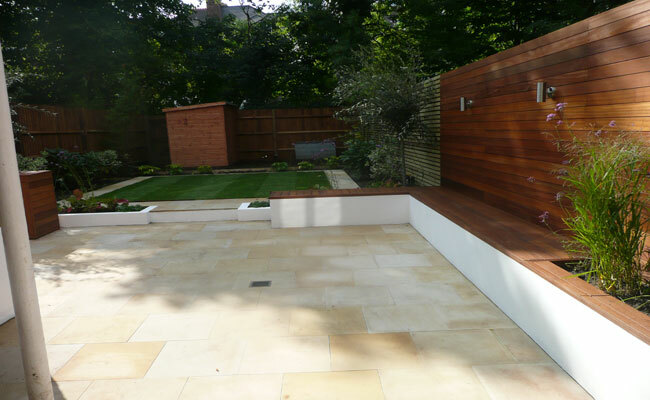 Paved patio area with bench seating leading to the lawn. 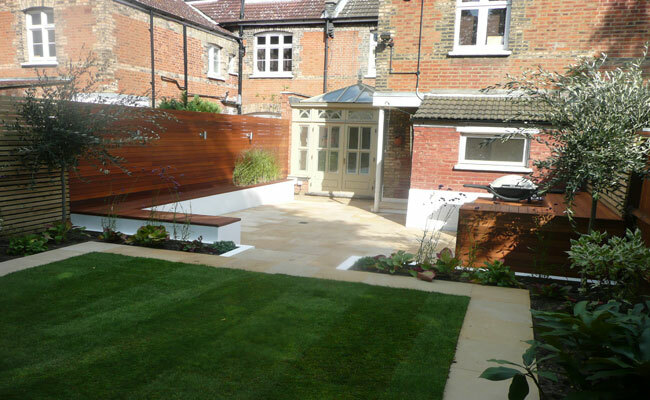 Lawn with fencing and inlaid stone work. 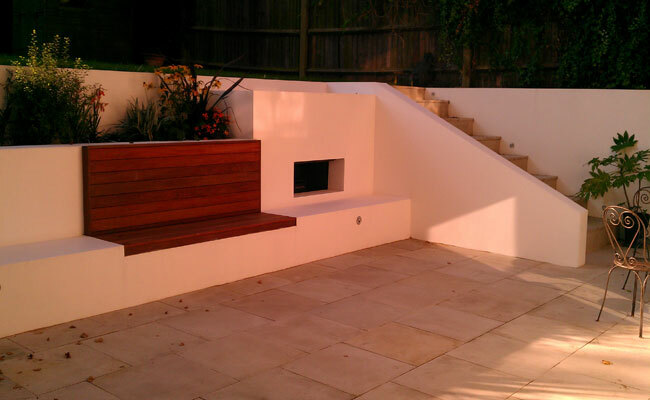 View to the entrances from the house. 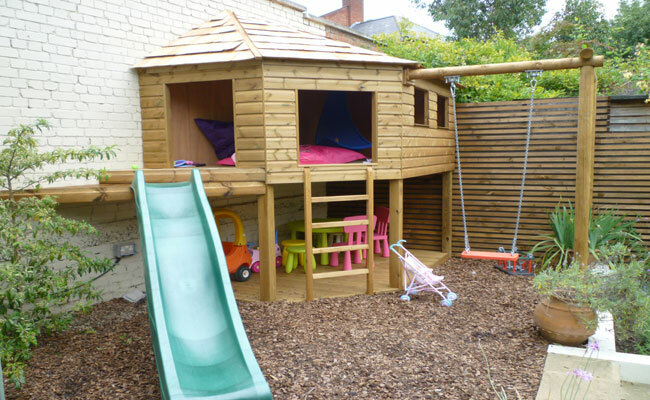 Play area features at the rear of the garden. 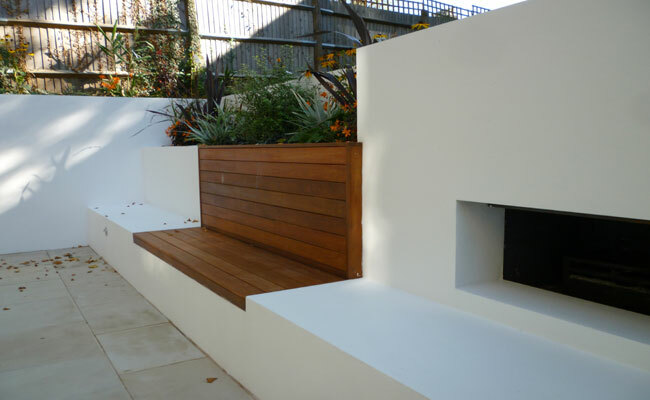 Bench seating in the patio area. 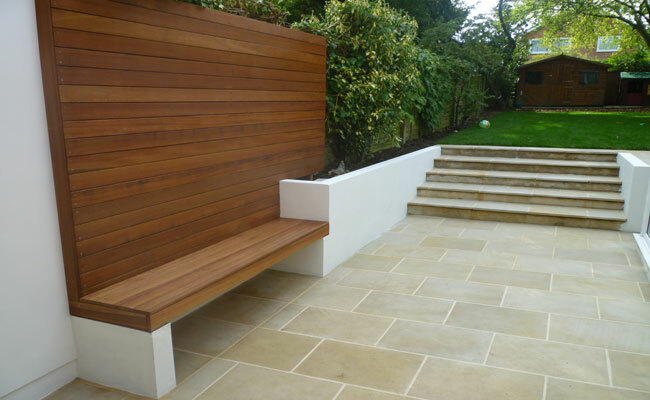 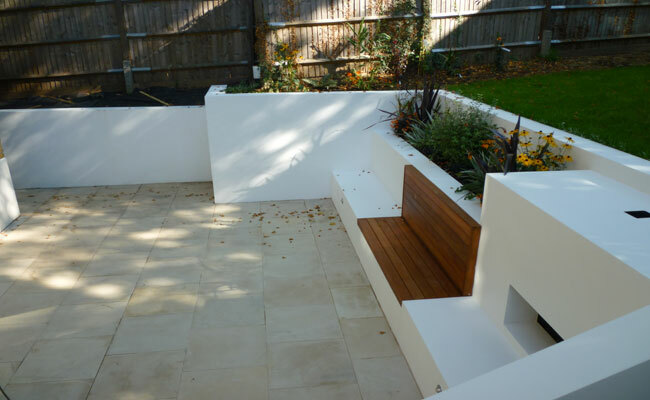 Patio paving and integral bench.